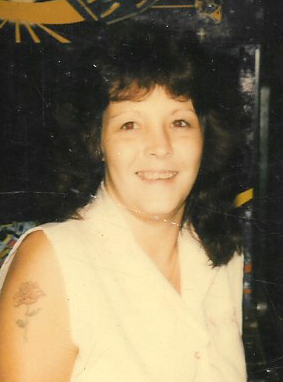 Funeral services for Shirley Marie Abbott, 56, of Lufkin, will be held Thursday, December 6, 2018, at 10:00 a.m. at Shafer Funeral Home in Lufkin with Bro. Nathan Panell officiating. Graveside committal will be Thursday at 3:00 p.m. at ­­­­­­­Sunnyside Cemetery in Calvert, Texas. Mrs. Abbott was born December 6, 1961 in Tyler, Texas, and died Tuesday, December 4, 2018 in Lufkin. She loved to plant roses and cook for her family. Mrs. Abbott enjoyed fishing and listening and dancing to music. Mrs. Abbott is survived by her husband, Ronald Abbott of Lufkin; son and daughter-in-law, Troy Lee and Maria Raley II of Etoile; daughter and son-in-law, Leola Marie and Obed Arteaga of Houston; grandson, Joshua Lee Raley of Etoile; granddaughter, Jasmine Arteaga of Houston; grandson, Obed Arteaga Jr. of Houston; grandson, Jaylen Josiah Raley of Etoile; granddaughter, Sienna Angelie Raley of Etoile; grandson, James Myles Raley of Etoile; mother, Betty Marie Nichols of Lufkin; sister and brother-in-law, Debra and James Clary of Lufkin; sister, Charlene Nichols of Lufkin; sister, Melissa Burrous of Lufkin; step-sister, Lottie Havard of Lufkin; step-sister, Margaret Gabbard of Lufkin; and step-brother, Walter Treat. She was preceded in death by her father, Kenneth Treat; and sister, Thelma Ladoris Treat. Pallbearers will be Joshua Lee Raley, Obed Arteaga Jr., Adrian Taylor, Obed Arteaga, Jacob Campbell, and Joseph Self. Honorary pallbearers will be Joshua Raley, and Obed Arteaga Jr.
Visitation will be from 5:00 p.m. to 8:00 p.m., Wednesday, December 05, 2018 at Shafer Funeral Home in Lufkin.